MARTOR, a market leader in safety knives is dedicated to bringing attention to the risks of working with knives. Very rarely top of people’s minds, we are always surprised by how many incidents in the workplace are caused by knives – but it shouldn’t really surprise, given how sharp a blade is designed to be. Our range consists of almost 100 safety knives because there are so many cutting challenges across the business. To make sense of this complex landscape, we offer free knife surveys where our cutting experts will make recommendations bringing business benefits and greater well-being to the workforce. At The Health & Safety Event 2019, two experienced MARTOR team members will show the key safety features and by listening to your issues, they can make a broad assessment of where MARTOR is likely to make a difference to your business. We are for helping our customers to make cutting safer, reduce damage to goods and improve their business productivity. THE NEW SECUNORM 500 FROM MARTOR. THE PROFI REINVENTED. 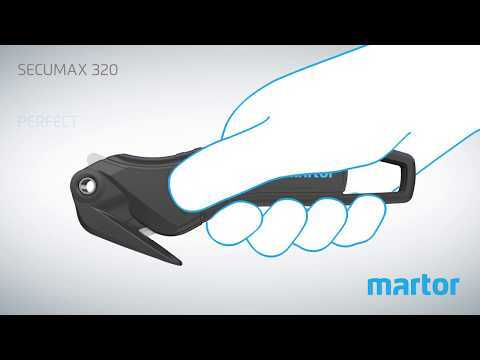 In 1976, MARTOR launched the SECUNORM PROFI, the world's first TÜV-tested safety knife. This became a classic setting standard in work safety, robustness, and ergonomics. 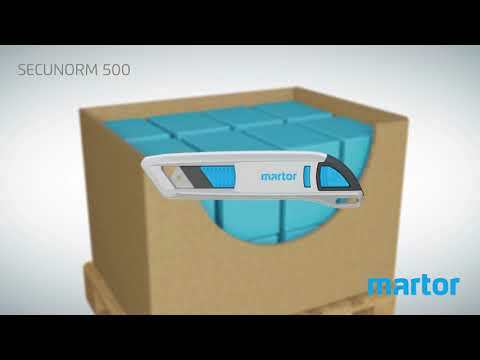 MARTOR has now reinvented the SECUNORM PROFI as the new SECUNORM 500.